01: Because owls can turn their head 180 degrees, they are believed to be wise, clever, good at business forecasting, and bring good commerce. 02: Owls are called ふくろう – fukuro in Japanese. There are some phonetic equivalents of the wordふくろう. For example, 「不苦労」 means without hardship. 「福老」 means happy elders. 「福籠」 means a basket O’luck. They have the same sound. Owls are a symbol for longevity and believed to bring good luck. 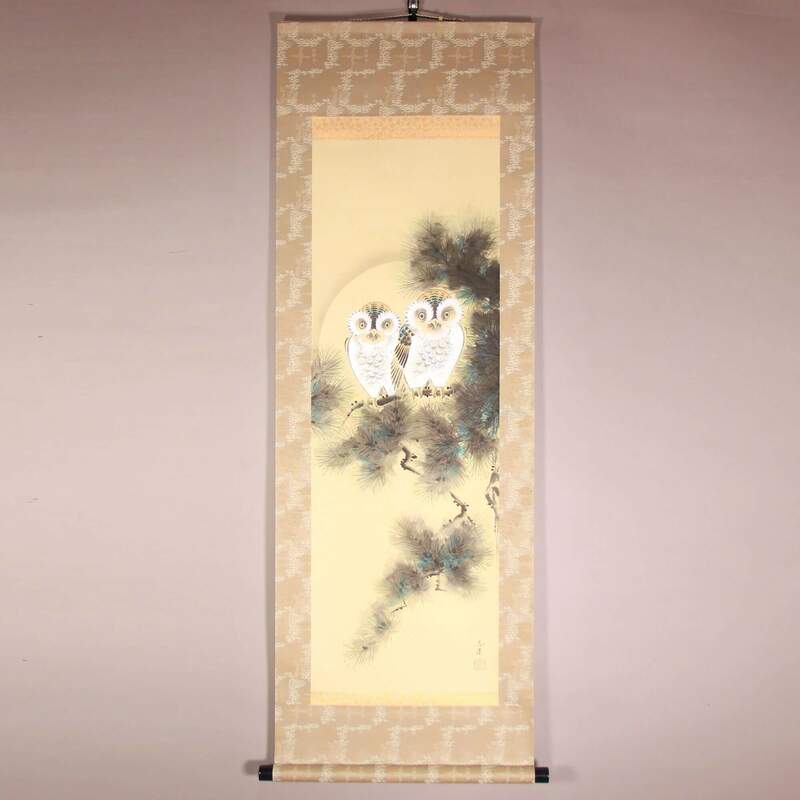 The painting by Shiho Nishio depicts an owl couple cuddling on a pine tree. Shiho is a master at depicting bird and flowers. With the moon at their backs, owls are looking out from a thick pine tree as if they are welcoming a midnight visitor in the forest. This is a unique piece and makes us smile.